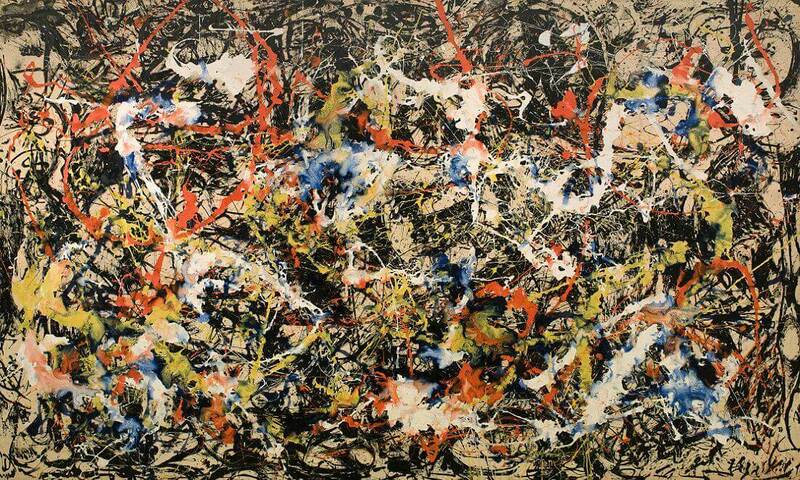 Jackson Pollock (1912-1956) was an American painter who pioneered Abstract Expressionism. His paintings were created on the floor, and he walked around the canvas throwing or dripping paint. They didn’t represent or depict anything and the viewer could not relate to the painter’s intentions or title of the work. He was an alcoholic who died in a car accident while under the influence at age 44.